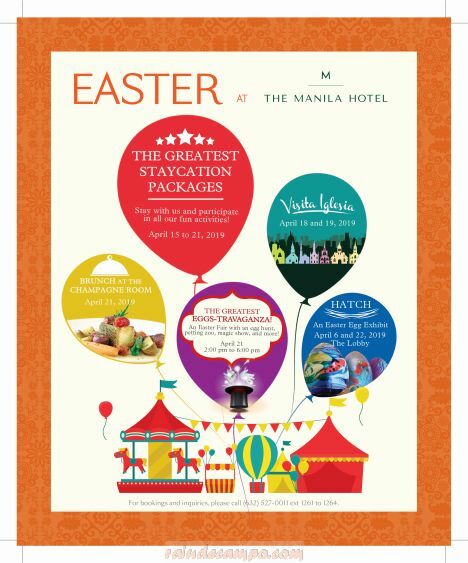 Manila Hotel announced last Thursday their Easter promos and activities for 2019 and their very first Visita Iglesia Package. Walk through history via this curated tour of seven churches in historic Intramuros and the surrounding environs, including Manila Cathedral and San Agustin Church. The hotel shall provide shuttle service, snacks, a map, and a guide. Available on April 18 and 19 only, the Visita Iglesia Package allow guests to cocoon in the comfort of a Superior Deluxe Room for PHP 5,800 nett, for two (2) adults and two (2) children ages 12 and below. Easter is a time to celebrate with your family, friends and little ones. With its elegant combination of tradition, glamour and unparalleled service, The Manila Hotel is the perfect venue for making joyous memories this season. The hotel has created a range of fun, family-friendly activities that will make this year’s Easter an unforgettable experience. 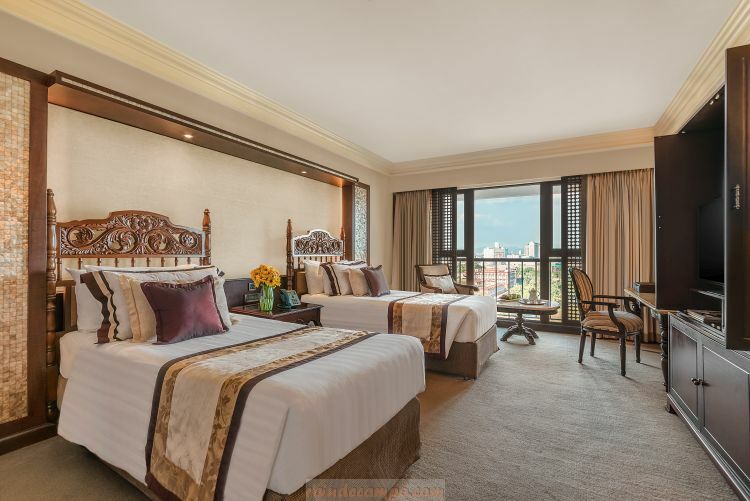 Manila Hotel’s Easter Staycation Package lets you luxuriate in one of the hotel’s well-appointed Superior Deluxe Rooms for only PHP 6,999 nett a night, for two adults and two children ages 12 and below. Relish an indulgent breakfast buffet or take a culinary journey at one of the hotel’s specialty restaurants. 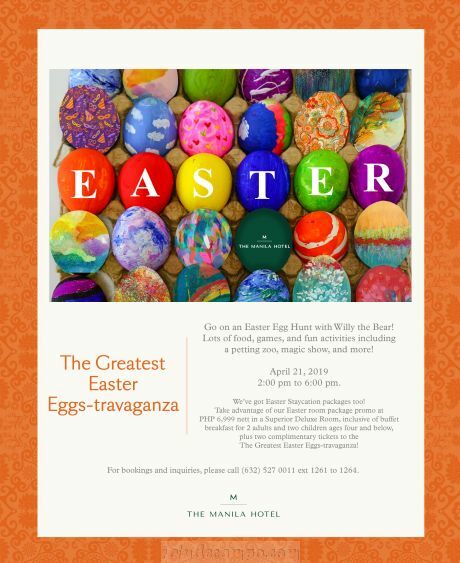 The promo is inclusive of two complimentary tickets to The Greatest Easter Eggs-travaganza, a fabulous, fun-filled Easter fair. Let the elegant and romantic Champagne Room be the setting for a luxurious family brunch on Easter Sunday. Partake of an exclusive menu crafted by Executive Chef Konrad Walter and his team. Delicacies and savories include handcrafted veal and mushroom ravioli in light truffle cheese cream, a choice of elegant rosemary-seasoned rack of lamb served with potato gratin and young market vegetables, or black cod on a purée of creamed peas with quenelles of zucchini lemon risotto, and a delicate dessert of swan-shaped choux pastry with snow eggs. The Easter Brunch at Champagne Room is priced at PHP 2,780 nett. For reservations, visit the website at www.manila-hotel.com.ph. Follow The Manila Hotel on Facebook and Instagram @themanilahotel.